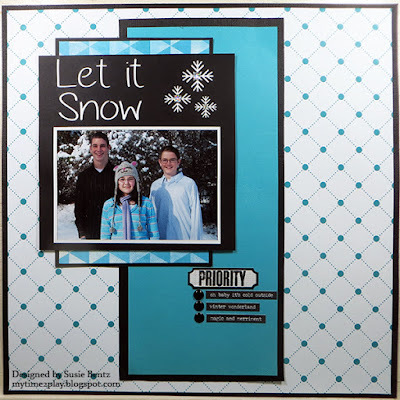 Blog Quick Quotes: Let it Snow with Susie! Let it Snow with Susie! Hello and welcome! It's Susie hosting the blog today and I am sharing a layout featuring the Winter Bliss Collection. 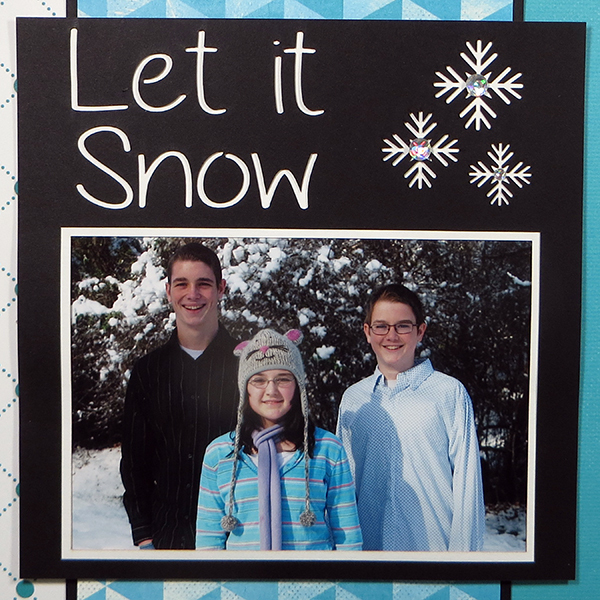 I started by trimming the background paper to an 11.5" square and then centered it on black card stock. You can see I matted each of the layers with black card stock before topping it all off with a 6"x6" laser cut overlay from Want2Scrap. One of my favorite things about the overlay is that it comes with a built in title! 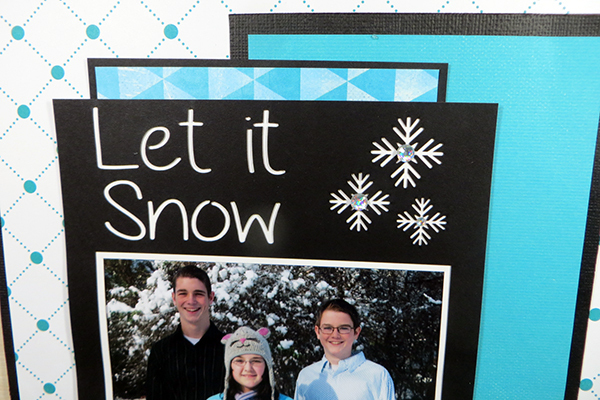 It also comes with a white background page that gave me a border for my picture. 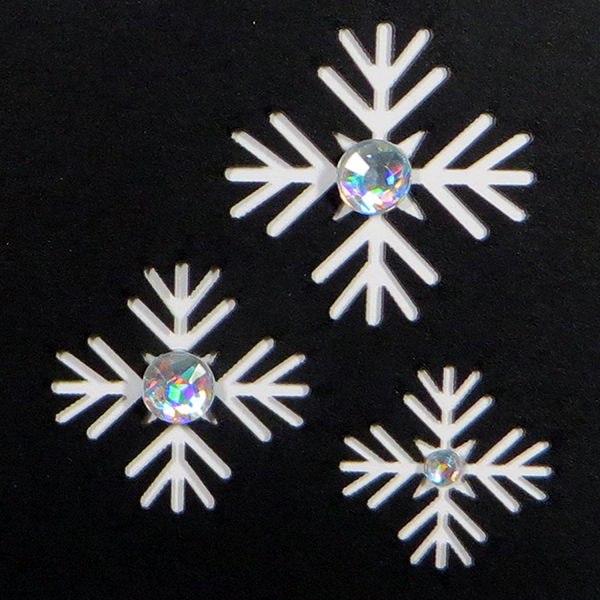 I embellished the laser cut snowflakes with Want2Scrap Iridescent Rhinestones. The fact that they are self adhesive makes them so easy to use! 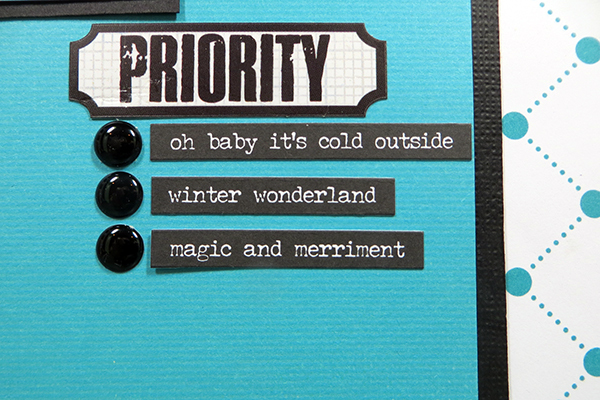 Want2Scrap Black Enamel Dots were perfect for accenting this list of priorities! 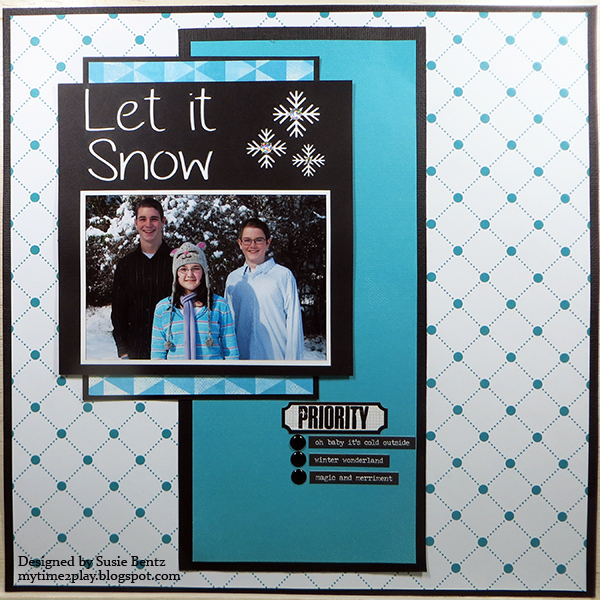 I just love the way patterns and papers in this collection work together. Winter Bliss Papers: 103, 104 coming soon!